The culture of any nation is born and developed through the arts, and at Erindale there is no exception. The Innovation and Arts Academy strives to develop and continuously build upon the ever growing strength of the visual and performing arts culture within the school and community. This is achieved through developing the skills, knowledge and experiences of our creative arts' students. Subject specific environs, up-to-date technologies and equipment and proactive, skilled arts educators combine to offer students a number of pathways to excite their curiosity and provide opportunities to excel in creativity, aesthetic appreciation, critical analysis, exhibitions and live performance. In focusing on the building of knowledge, skills, appreciation and experience within the creative arts this academy develops a culture of excellence through high-quality educational programs and links with other arts' communities such as the Erindale Theatre. Want a career in Dance? Talented Dance Program @ Erindale College is for you. Erindale College’s Talented Dance Program (TDP) is a program of excellence designed to extend and develop the talents of students in the performing art of dance. Students will be extended in this innovative and challenging course with highly qualified staff and visiting tutors. 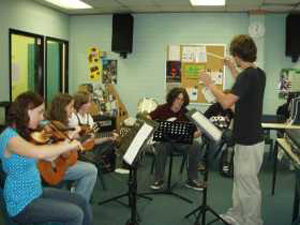 Students involved in the program will continually develop their technique, composition, performance and analytical skills. They will gain skills and understanding in all genres including contemporary, ballet, lyrical, jazz, commercial jazz, hip hop and world styles. It is this exposure to a wide range of dance genres, taught by experienced teachers, that sets Erindale College’s program apart from the rest. The program focuses on four main areas; developing and perfecting technique, developing and maintaining strength, flexibility and fitness, developing and improving skills in composition and developing and perfecting skills in understanding dance theory. Students participating in the TDP will also have the opportunity to prepare for auditions and create showreels for tertiary dance institutions and other careers in the field of dance. 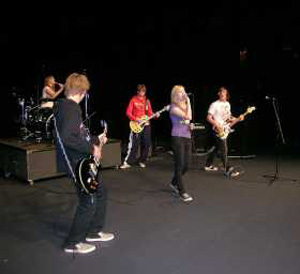 Prospective students must submit a completed expression of interest form to the college, as well as complete an audition. Audition pieces may be sent via DVD or performed only if audition cannot be attended. Students’ academic transcripts as well as references from dance teachers will form part of the application. 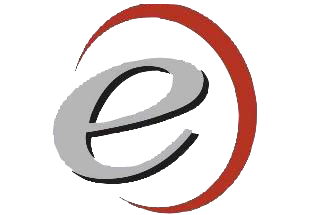 Suitable students will then be offered a place at Erindale College subject to vacancies. Click here for further information on the Talented Dance Program.